Last Edit: 7 months 3 weeks ago by djphil. What are you using to actually take the photos? A custom lsl script to take the snapshots of the cubemap and then convert the cubemap snapshots into an equilectangular image with a 2:1 ratio. Last Edit: 8 months 3 days ago by djphil. Ahhh Ok then, so this is useless without making or finding the script to make the images ... ok .
Well the mod_pensim_panorama to display panoramas, not to create panoramas. There are beautiful collection of panoramas (eg: here or here ). 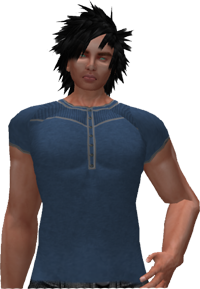 Remember that this has existed in Second Life since 2016 ... (ref: here ). PS: I created my 1st pano sitting on a prim and with Ugin . It was tedious! I just update mod_opensim_panorama.0.3.0.0.zip with some new features and fixs. - Resizing (now based on container, not on windows). - Border size for panoramas + border radius independent. - Multi-panoramas work fine now (tank's Foto50). - Border (now is inside the container).